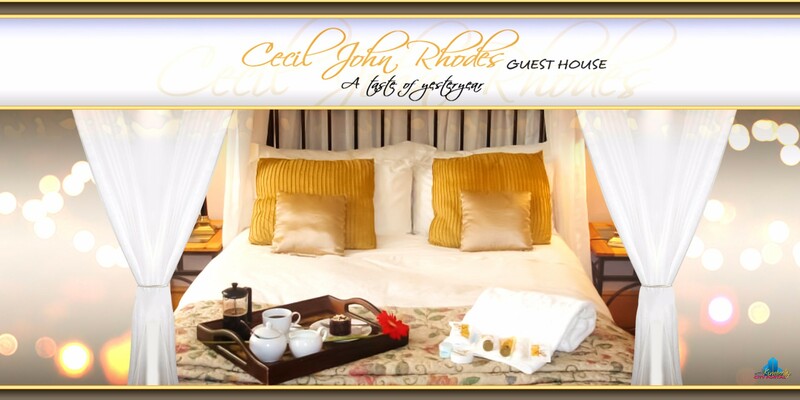 Cecil John Rhodes Guesthouse Situated centrally in Kimberley, Cecil John Rhodes Guesthous is within walking distance from most of Kimberley’s Historical Homes & Monuments as well as the city’s business centre, shopping malls, art galleries, theatre, private hospitals, Karen Muir swimming pool and restaurants. Experience the wealth and luxury of yesteryear at this historical property built in 1895. 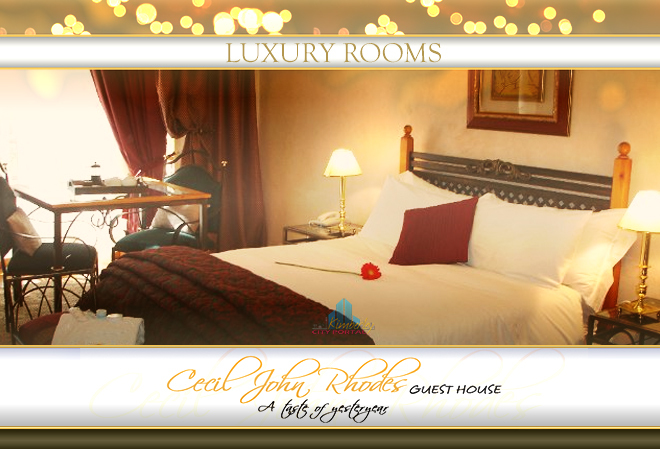 Our eight elegantly decorated rooms can accommodate 18 persons and are all en-suite with either bath or shower. 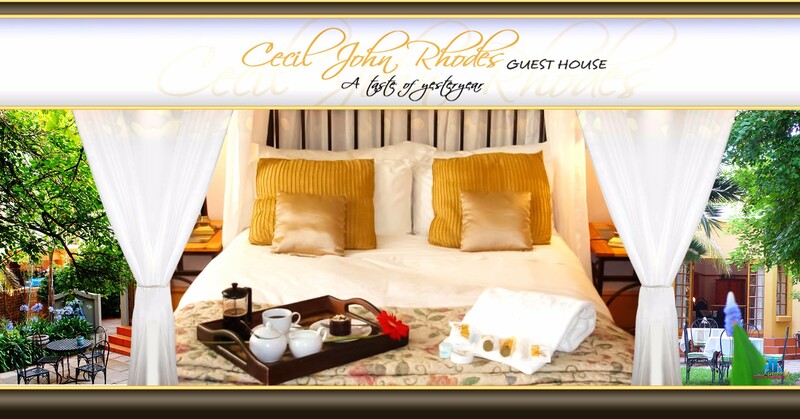 We are centrally situated and within walking distance from most of Kimberley’s historical homes and monuments as well as the city’s business centre, shopping malls, art galleries, theatre, private hospitals, Karen Muir swimming pool and restaurants. 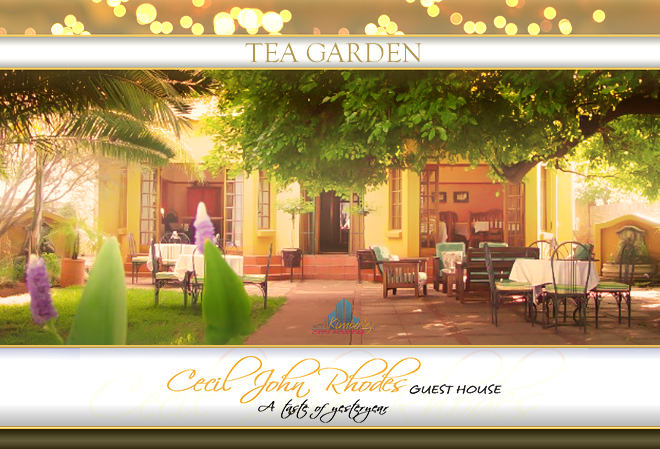 We offer a tea garden, which is open 7 days a week with scrumptious home-made delights. Tours of Kimberley, De Beers mine and the battlefields can be arranged with a specialist tour guide. 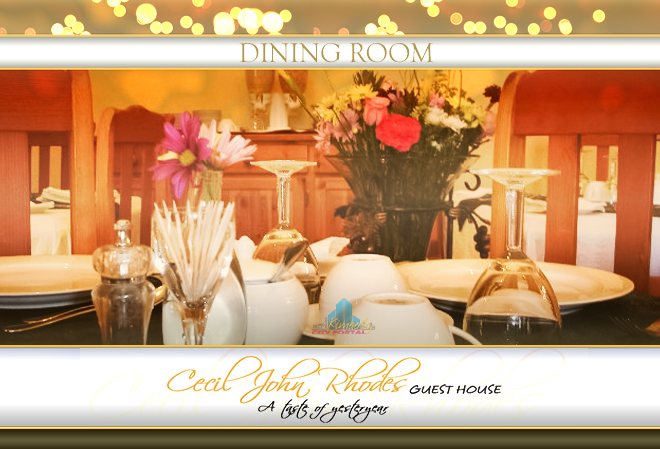 Our friendly and efficient staff will cater to your every need. Come sit in our shady garden under our beloved mulberry tree and enjoy the sparkle of Kimberley.